This revision podcast is relevant to both GCSE and IGCSE History students, although AS and IB students may find it a helpful introduction to events in the Gulf in the later 20th Century. This episode aims explain the factors that allowed Saddam Hussein to maintain his rule of Iraq after he became President in 1979. 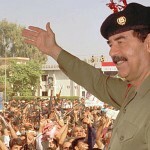 The podcast breaks Saddam’s rule into three key areas: his control of the Ba’ath party, his use of repression and violence against his enemies, and his use of economic and social policy alongside propaganda to maintain the support of the population. 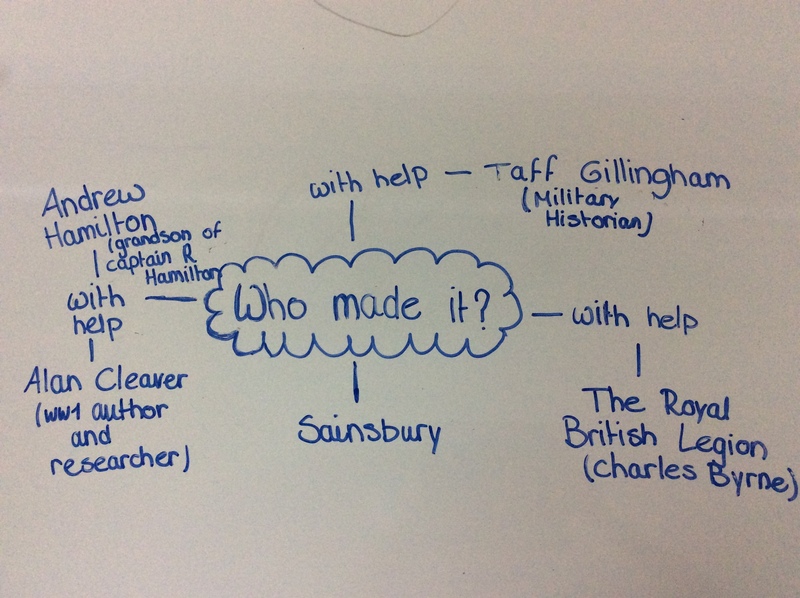 The revision guide aims to give clear examples for each of these factors, and explain how each of them contributed to Saddam remaining in power for a quarter of a century. 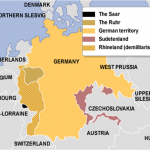 How did Hitler consolidate his rule? An extract from a 1980s documentary called “Hitler’s Germany” – part of the 20th Century History series of documentary programs. Transferred from an VHS tape, so quality is variable but it’s watchable and well presented. This documentary episode presents the recollections and opinions of a number of people who supported Hitler and the Nazis. 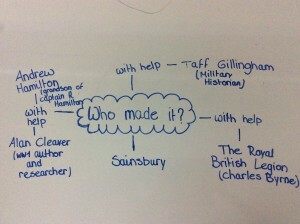 It’s particularly interesting to see the reasons they give for why they supported them. 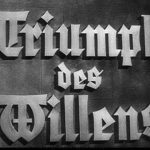 This is a link to a full copy of the Nazi-produced propaganda film Triumph of the Will. I have set this clip to begin at the part where the SA, NSKK and SS Party formations offer an oath of loyalty and fealty to Hitler. 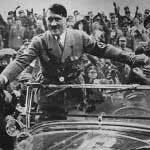 In his speech, Hitler references the Night of the Long Knives and reassures the SA that they are not under threat. 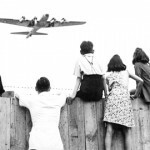 This podcast examines the three broad ways through which the Nazis secured control of Germany. These are categorised as ‘the stick’ (repression and force), ‘the carrot’ (positive social and economic effects), and propaganda. 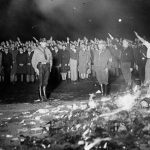 The first method of control outlined in the podcast is repression, which began following the Reichstag Fire in 1933. The four key areas of repression are explained: Nazi control of the police and courts, the SS and the use of concentration camps, and the Gestapo. 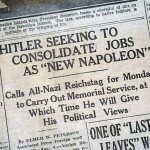 Secondly, the episode explains how Nazi achievements were used to maintain support for the party. Particularly achievements that ensured support included such things as assistance to farming communities (e.g. 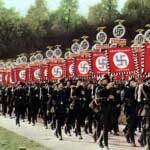 the Reich Entailed Farm Law) and more jobs and improved working conditions for industrial workers. Middle-class support was secured through the removal of the threat of Communism. Big-business was also very supportive due to being able to secure large government contracts, and the fact that trade unions had been banned by the Nazis in 1933. Remilitarisation and large-scale public works projects also secured wide public support for the Nazis. 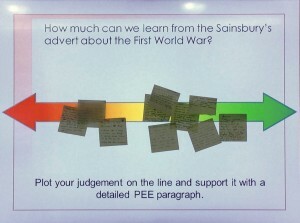 Thirdly, the podcast assesses the impact of propaganda on the German population. An explanation is given of the role of the Reich Chamber of Culture, before describing specific propaganda achievements such as the effect of the radio, the use of films, and the 1936 Olympic Games in Berlin. The podcast ends with some tips on how to answer a question about Nazi control in Germany by explaining how the three factors worked together to support each other. 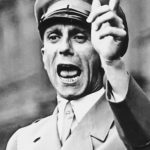 This video presents an edited collection of speeches given by Josef Goebbels, the Nazi propaganda chief, in which he presents his views on the role of propaganda in the Nazi regime.